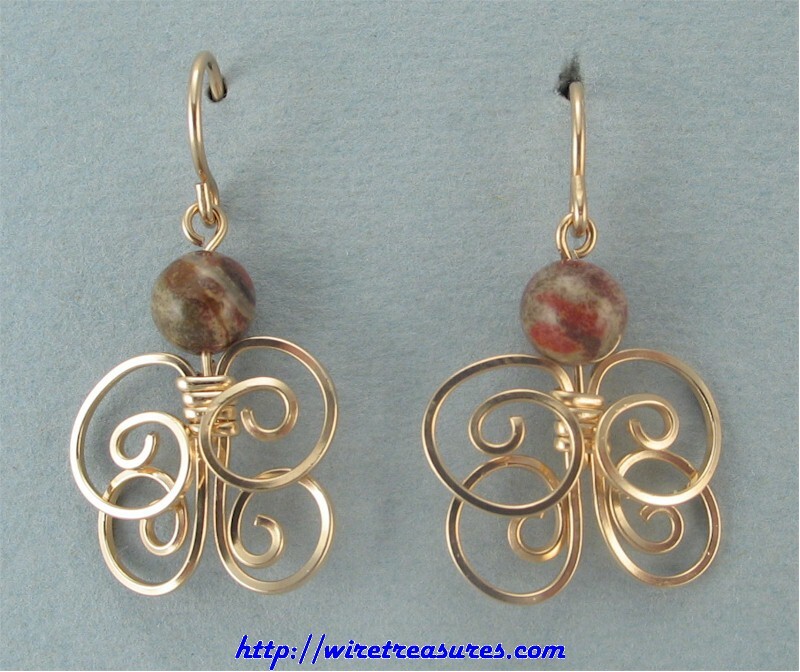 Cute, CUTE earrings remind me of little butterflies! Four loops of 14K Gold Filled wire with a 6mm Leopardskin Jasper bead on top. These earrings hang down almost 1-1/4". You are visitor number 5,229 to this page.